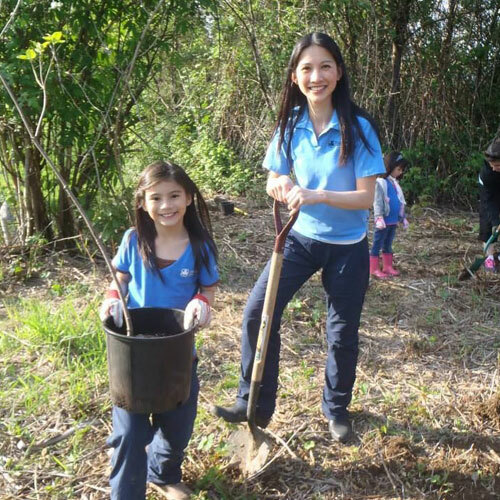 We offer many opportunities for Girl Guides and Scouts to participate in hands-on, experiential learning. Make Your Own Green Products- suitable for all ages, 60 minute session $60 Many household cleaning products contain surfactants that are very harmful for the environment and carcinogens that can be harmful to people. Participants in this workshop will make and take home samples of environmentally friendly household cleaners. Join us as we plant native plant species at various locations across Langley. LEPS will provide support, tools and equipment, location and plants (when available). Planting locations and dates are pre-determined by LEPS and are scheduled early spring or fall and winter. What is recycling and where does it go? Using the 3 R’s, children will recognize recycling symbols and sort materials found in their home in a fun recycling relay. Meet the compost worms and learn about the importance of composting as part of waste management. 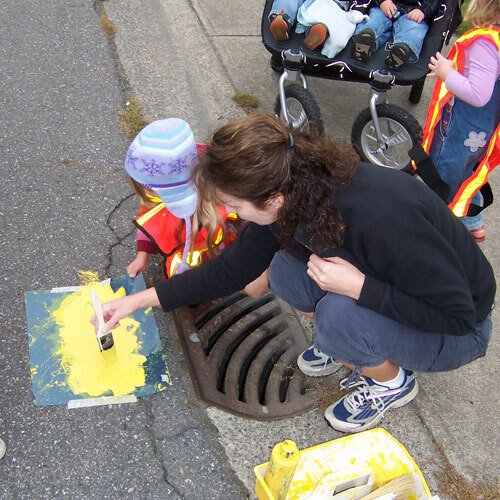 Have you ever seen the yellow fish painted beside a storm drain on the street? These fish are painted by volunteers to remind people that ALL drains lead to fish habitat. Storm drains run directly, untreated into our streams, rivers, and ultimately, the ocean. LEPS can loan your group a storm drain marking kit for up to 2 weeks in the spring, summer, and fall. $100 deposit required at time of use. Contact our Education coordinator or call 604-546-0339 for more information or to book a session. Groups can be accommodated on weeknights or weekends for activities and presentations.